A glimpse of polished futuristic forms emerges to inquire about the old and present the new. 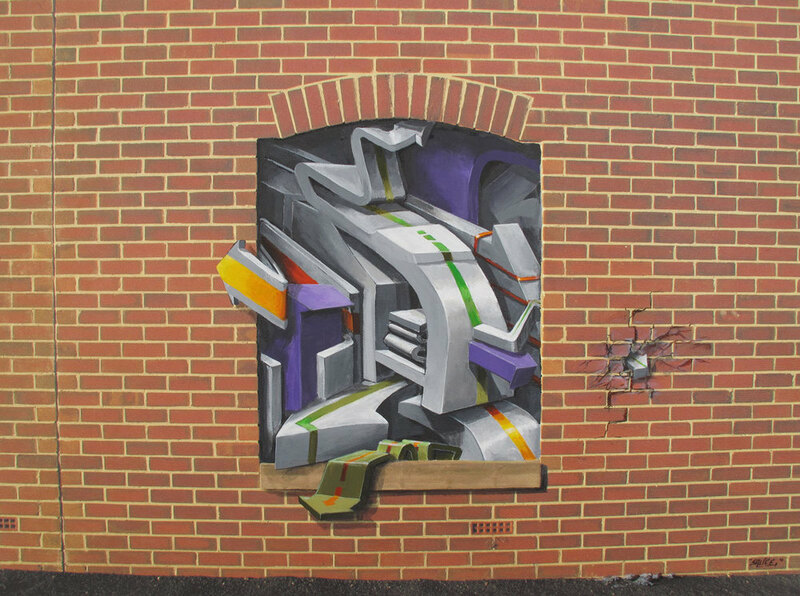 The three dimensional piece brings vibrancy to the dull brickwork and interacts with the viewer. Original printed photo and acrylic on canvas 57 X 42cm.